It was mixed weekend for the rest of the teams in action. The Ladies 2nds had a really good win over The Hills on Friday night but the Men’s 4ths took a tough beating in Adamstown the same night. On the cup front there was good and bad news. 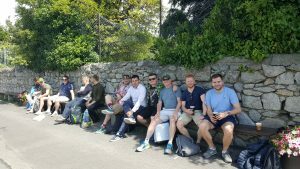 On Saturday the Men’s 3rds beat Leinster by 163 runs in the quarter final of the Middle Cup while the Under 11 Boys beat Leinster in their semi-final. Unfortunately the Girls Under 13s lost their cup game in Merrion the same day. In the Alan Murray games in Merrion, the 1sts lost their game against Merrion but beat Malahide. On Sunday the 2nds hosted Leinster in the Senior 2 Cup but were all out for 58 chasing 124. The 4ths were in Ringcommons in the quarter-final of the Middle 2 Cup but despite a maiden century for Shovan (125 not out in a total of 218) they lost by 4 wickets in the last over. The final round robin games in the Alan Murray Cup saw the Men’s 1sts head to Balbriggan last Saturday, where they chased Railway’s total of 161 for the loss of only one wicket – Nick with 71 not out and Theo out for 87 took us home in the first game after Jack had taken 4 wickets. 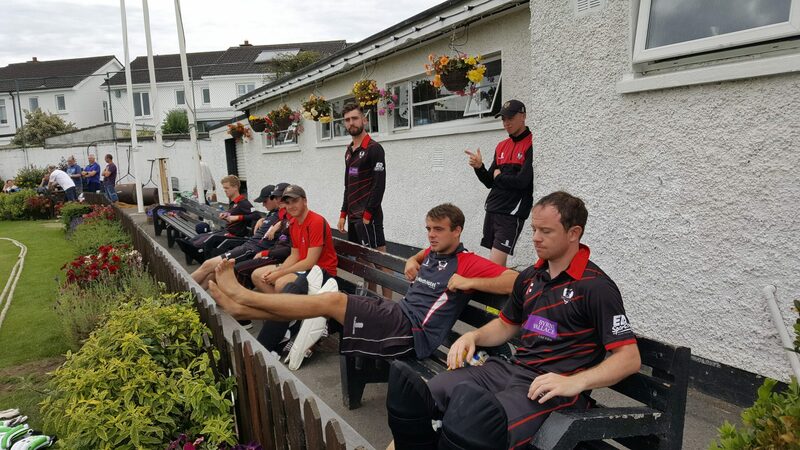 In the second game against Balbriggan we batted first and a superb 152 off 59 balls from Lorcan Tucker left us with a huge total of 255 in 20 overs – the umpires arms were up so often they looked like the Italian army. Balbriggan were all out for 128 with Fiachra Tucker claiming 4 wickets and Gavin Hoey 3. 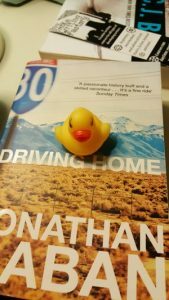 Meanwhile in the ‘Broke (that’s for Eamonn Fitz!) 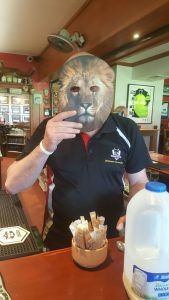 the Under 13s lost to North County as the British and Irish Lions drew with the New Zealand All Blacks thanks to a Frenchman. Later, the Men’s 4ths hosted The Hills and chased down a useful total of 213 – wickets were shared with Joe getting 3 and 2 each for Rafi and Rafe and 1 apiece for Craig, Wiz and Justin. 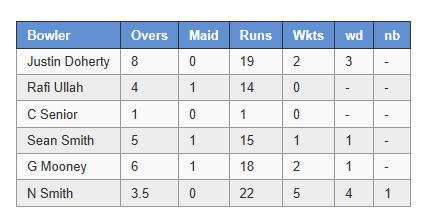 Some solid batting from the top order (who says that makes a change?) with Chilly and Gordie both getting 31 before Joe and Alec both got unbeaten 50s – Alec hitting a six to get his half-century and to win the game. The kids were out, the sun was out and North Down were, finally, in. Bringing a coach load of cans, fans and red faced tans and after a detour or two that had Marty Block huffing and puffing the North Downers had a quick warm-up before winning the toss. Obviously suffering from heat-stroke their captain asked us to bat and after sprinting off the pitch before he could change his mind Paul kept a lid on the celebrations and sent Andy and Fiachra out to open. They put on a steady stand of 111 before Fiachra was out, Andy kept on going to his century and beyond in serene fashion and it was a delight to see him bat so well. Lorcan kept him company with a breezy 45 while Club Coach Conor ran the legs off everyone including himself to keep the momentum going and we ended up with 301 off our 50 overs. David Murphy, back for a quick jaunt from the UK took a couple of early wickets helped by Hoppo and Jack who took the important wicket of Pretorius who didn’t take it kindly. Peter Eakin threatened to make it a closer game than it seemed before a good catch in the deep by Paul saw their innings fold. Hats off to the North Down support for making it a good day and for hanging round afterwards while the coach driver replenished their stock of cans for the journey home. 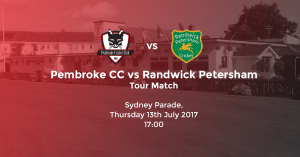 It’s a big Pembroke welcome to Randwick Petersham over from Sydney on their tour of Ireland and the UK. The Randy-Petes very kindly looked after some of our players on recent adventures down under. We’re playing a T20 on Thursday at 5pm with a bbq afterwards so please make an effort to come down and support. Your support is also needed in Merrion on Friday at 5pm as our Under 11s take on Merrion in their Cup Final. This is a big day for our junior Boys and I know they would appreciate the Pembroke Wall being in attendance. We have never won this particular Cup so it’s a chance to come down and witness history. After the game we’re all heading back to Pembroke (with the Cup!) to have a curry night and you are all invited to that also – the bbq will be fired up for those who prefer less spicy offerings. This evening our Ladies 2nds are home to Malahide in the League starting at 6.30pm. On Saturday the Boys U11C team is away in Rush and our Men’s 3rds also make the trip to north county Dublin to take on Balbriggan. The Men’s 1sts have a vital home Div 1 game against The Hills. Sunday sees two home games with the Boys U13’s hosting Balbriggan followed by the Furious Fives in the Minor Cup quarter final against AIB – if you have any questions on the collapse of our banking infrastructure this is your chance. Next Monday the Girls U15 team is home to Leinster at 2pm. The Girls U13s are home to YMCA on Tuesday at 2pm followed by the Ladies 2nds who host North Kildare. On Wednesday two of our Boys teams visit local opposition – U11s in YMCA and U17s in Merrion. Many congratulations to Joe Doherty for his second fifty of the season, oh and for getting engaged last week! The Senior 2 Cup game saw something that could be unique in Pembroke – three leg spinners in tandem with Conor Hoey, Fiachra Tucker and JJ Garth twirling merrily away. Murph is back! And so is Sharpy, expect shenanigans. As I’ve mentioned above, your support at games is greatly appreciated by all the players so please do your best to get out this weekend. Next: Next post: Under 11 Cup Winners!